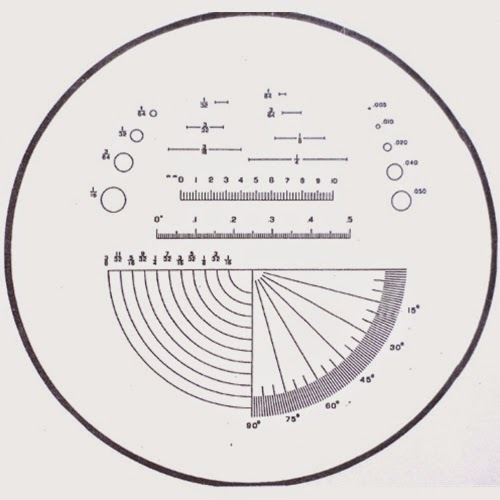 Microscope comparator reticles for use in a biological or stereo microscope are available in full 360°, half comparators (180°), and comparators for specific objectives (1x, 2x, 3x). The microscope comparator reticles are available in diameters of 16mm - 28mm. 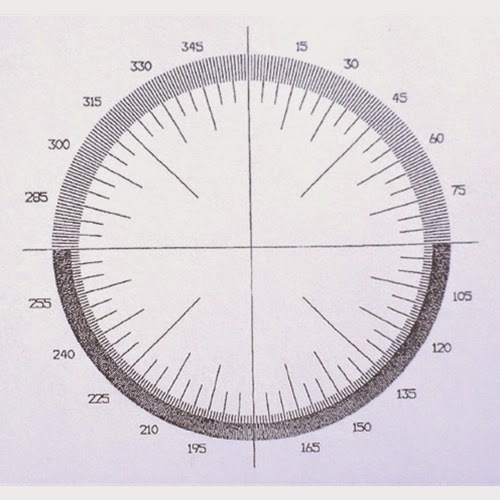 The standard comparator reticle is available in 26mm - 28mm diameters and contains rulers, circles of varying diameters and comparator protractors with different angles. You can view all the microscopy comparator reticles here. Information on how to install microscope eyepiece reticles can be found here.